It's time once again for a top-to-bottom evaluation of the Buffalo Sabres prospects, an annual exercise where we comb through a pile of puzzle pieces and analyze where each one fits. The Sabres boast a diverse group of forward prospects, with the upper tier blending elements of creativity, speed, and power. The club's transformation from having limited center depth to one that is richer down the middle is noteworthy for an organization that arguably had one of the weakest 1-4 center depth in recent years. If there is a defined need, it's a lack of natural scoring depth down the wings, perhaps setting up an area of focus as the 2013 draft strategy is composed. Potential top-line threats with good size are in place, but additional artillery is required. On the back end, the Sabres have three solid minute-eaters and a power play specialist that grade out well for full-time NHL duty, followed by a fair amount of mid-range depth to develop. The Sabres lost some youth when dealing T.J. Brennan to Florida, but the blue line still projects to have a dependable variety of skills, especially when bundling 23-year old Tyler Myers into the mix. In the crease, franchise cornerstone Ryan Miller continues to grind away in a mostly one-man show with just one year left on his contract. The deadline acquisition of Matt Hackett greatly enhances the overall depth at the position while the Sabres wait for one of their young netminders to jump out as the leading understudy. The story likely won't be written until the 2013-14 season. The below rankings are formulated first by slotting each player based on top potential, and then modifying their position up or down based on their likelihood of achieving. This is the fairest method of doing side-by-side evaluations for players ranging in age from 18-23, and thus the order is not based on who's closest to appearing in the NHL. For definition, a prospect is judged to be a player who begins a post-draft season between the ages of 18-23, whose NHL rights are owned by the Buffalo, and who has played fewer than 50 NHL games. Grigorenko and Armia in the top two spots shouldn't be much of a shocker given the offensive potential they represent. The real debate begins thereafter. Pysyk's smarts, skating game, and overall top-pair potential give him a slight edge over Girgensons' edgy power. Girgensons' continued development could make him primed to leapfrog, perhaps even ahead of player like Armia. So far so good. but we're not there yet. The Foligno-McCabe-Larsson-McNabb-Hackett cluster is a bit to digest, but Foligno's leadership value and immediate impact in the paint earn him a spot in the top-five. McCabe's skating and all-situations competency was impressive in his first post-draft year, while Swedish forward Larsson represents perhaps a "forward version" of McCabe. McNabb took a bit to find his range in his sophomore professional year, but like McCabe a few spots ahead, projects to top-four NHL duty. Hackett has all the required tools of an NHL starter. Catenacci's wheels, polish, and versatility represent a savory mix for an aspiring NHLer. Without the tenacity, he couldn't be rated ahead of a player like Tropp, whose work ethic and timely offense was clearly missed by the Sabres. Leduc's rookie year has seen its share of bumps but still rounds out the top-10 given the offensive potential in play. The next pod sees Kea challenging the top-10 with a tough, physical style, excellent skating game, and firm checking line projection. Ullmark appears as the top-ranked goaltender following a sensational development season. The speedy Sundher follows on his heels with a good rookie ramp-up that was disrupted by a late-season injury. 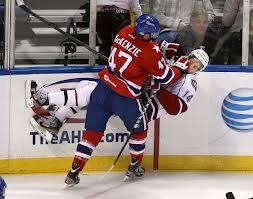 MacKenzie's blend keeps him in striking range while he looks to gain consistency entering the final year of his ELC. Makarov's big-game ability has him well-positioned among his peers, with room to move up within the top-15 with a response to next-level coaching. Lepkowski brings strong skating and sturdy D to the pipeline, while Nelson follows right behind with speed, peskiness, and offensive upside. Newly signed Schaller enters the mix as a big-bodied defensive forward to round out the top-20, just a few ticks ahead of smallish, skilled distributor Varone and athletic rookie netminder Lieuwen. 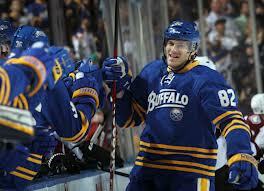 A natural centerman, Grigorenko immediately became the Sabres top prospect upon being drafted. The smooth, creative Russian was potent in the first half of 2012-13, potting 29 goals in 30 games with the Quebec Remparts before performing as Russia's top forward at the 2013 World Junior Championship with six points (2+4) and team-best 33 shots on goal en route to a bronze medal finish. Grigorenko's elite vision, instincts, and marksmanship at the junior level, along with the Sabres need for skilled center depth, allowed him to break through for a 22-game look in the compressed NHL season. He'd score a goal and four assists in two months of work as an 18-year old NHL rookie before being returned to Quebec to participate in the intense, competitive playoff environment. Grigorenko was challenged to work his way into regular NHL shifts, but the on-the-job training didn't translate into game minutes. He showed flashes of playmaking hands, but his strength and assertiveness wasn't where it needed to be. He used his stick defensively, but needed to be tougher on the puck. Continued work on his skating, greater attention to detail away from the puck, and embracing contact will only increase his effectiveness moving forward. Regardless of early bumps, good things seem be just around the corner. The dangerous distributor has a good idea of what it's going to take to succeed. It's on him to have a strong summer of workouts and re-claim his NHL roster spot in 2013-14, and it's on the Sabres coaching staff to continue fostering the development of what looks to be a legitimate top-line center. 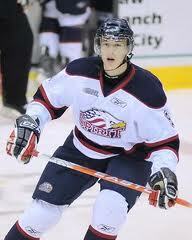 A sharp-shooting right winger with excellent size, Armia is wired for offense. His excellent skating ability and one-on-one skill make him a deadly threat in the transition game, and when cycling, the Pori, Finland native resembles powerful and skilled NHLers, perhaps a shade quicker. He's gotten better at winning corner battles, and he gets from the corner to the crease in a snap to create traffic and tip incoming shots. Armia, who entered 2012-13 with added bulk and a greater offensive role for Assat, fought through a pair of concussion episodes in the first half, but his confidence went unhampered. He forged ahead to post six goals and 12 points at the 2013 World Junior Championship - the second-highest total of all tourney scorers - before closing the SM-Liiga regular season with seven goals and 13 points in his final 10 games. Signed by the Sabres to a three-year contract, Armia will be charged to achieve offensive consistency upon making his North American entry. It's no coincidence that he has been at his best when skating hard on the forecheck, a trait that has seen him earn a two-minute per game increase in his average time on ice in 2012-13. Consistently showing that willingness while making quicker decisions in a smaller offensive zone could see the 19-year old reach his ceiling of scoring line sniper, especially if paired with a responsible two-way center. An exceptionally smart player with excellent skating skills, Pysyk’s two-way value and versatility makes him a steadying piece in the Sabres pipeline. You can never have enough poised, responsible players on the blueline, and Pysyk executes with confidence and simplicity, making “little plays” that can be sometimes overlooked as a catalyst to the team's on-ice flow. While it has generally been a seamless transition for the former face of the WHL's Oil Kings, the Edmonton native was no exception to the expected rookie growing pains, as waning consistency caused Ron Rolston to level-set his role with a two-game sitdown following the Christmas break. Pysyk responded at a key segment of his rookie year, posting a plus-seven rating in his next 20 games including just three "minus" outings leading up to first NHL recall in March. The former face of the Edmonton Oil Kings franchise looks to be on the verge of a breakthrough. Strength and durability have been tested as he builds his pro legs, but early results prove that Pysyk's overall skill and aptitude have him well-positioned for a future as a top-four NHL defenseman, possibly as early as the 2013-14 season. An 18-year old playing in the ultra-competitive AHL is no small feat, especially with younger NHL talent flooding the ice during the work stoppage, but Girgensons has gradually showed more assertiveness with each block of games in his rookie professional season. In mid-January, one night after logging the first multi-point game as a professional and just when it seemed like the a developmental spike was forthcoming, an elbow from Blue Jackets prospect Richard Panik put the Latvian on the IR with a concussion, essentially derailing the rookie's progress for a month. With strength and maturity centering his game, Girgensons resumed his role as a top-six winger and continued to build with each passing game to keep his rookie year moving in the right direction. 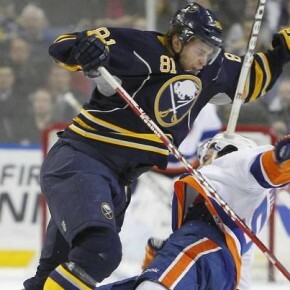 An intense, hard working player with a gritty edge and a decent set of mitts, Girgensons' effort and push-back style represent a compelling yin to the skilled yang of Grigorenko, setting up the potential for a well-balanced 1-2 punch if a an expected move back to center takes place. By the end of his rookie campaign, it’s expected that his adjustment to the speed and physicality of the pro game, and not any statistical performance, will confirm that the decision to have him bypass the college game was positive for both he and the organization. 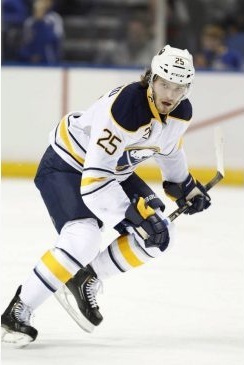 A raw skilled, “wrecking ball” type of player when picked in the fourth round of the 2009 draft, Foligno is the poster child for the term “development” as seen by his early NHL success and carry-over into the start of the 2012-13 year. Foligno’s physical style provides a solid foundation for his refined offensive skill set. He likes to create chaos around the net, has adequate finishing skills, and an underrated passing ability. If you summarize his body of work since being drafted, he’s been big on the forecheck while becoming increasingly comfortable with the puck on his stick. Future captain material is in play with Foligno, and much like his father, the potential is there for a special, blue collar presence that will stick in the minds of Sabres fans long after his playing days are over. A second-line forward if the scoring develops or a comfortable third-line banger, Foligno will play wherever his coach tells him and take on any challenge with a team-first mentality. Steady and reliable, the all-situations McCabe has a strong two-way base blending puck-moving ability with a hard-working defensive style. Perhaps the best example of his overall ability was at the 2013 World Junior Championship, where he notched three goals, six points, and a team-best plus-nine rating to help Team USA to the gold medal. The Eau Claire, Wis. native is a high-effort competitor with great footwork and awareness. Mix in leadership skills, as evidenced by his World Junior captaincy, and you have a classic defenseman who can do a little bit of everything from blocking shots to zipping crisp passes out of the zone. The Wisconsin staff praises his ability to act as "a coach on the ice", a trait which sets the table nicely for the next stages of his development. A candidate for key even-strength minutes as a pro, McCabe is also an effective distributor on the power play, possessing vision to find teammates at the side of the net while wielding a heavy shot from the point. The U.S. NTSP product will likely remain in Madison for at least one more year to work on strength development and overall style maturation as the Badgers kick off play in the newly formed Big 10 Hockey Conference. A skilled, two-way center with underrated offensive upside, Larsson does a little bit of everything, from adding timely scoring, to shutting down the opposition's top line, to chipping in on both sides of special teams. The Sabres were no doubt targeting his versatile blend in the Jason Pominville trade discussions, for the former SEL Rookie of the Year looks the part of a legitimate third-line center at the NHL level with the potential to add some muscle to the scoring line wings. 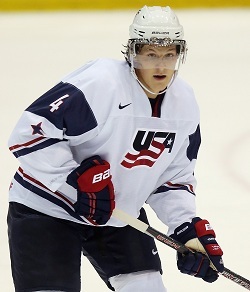 The captain of Sweden's gold medal winning squad at the 2012 World Junior Championship, Larsson initially caught the eye of NHL scouts the summer before at Team USA's National Junior Evaluation Camp, where he proved to be a hard working, physical playmaker with softs hands and a gallop to drive around the edge. Larsson's low center of gravity helps him gain position around the crease, where he has shown a keen ability at tipping pucks. Using that low base more often along the walls will give him increased value on the forecheck and likely bring to life an uptick in his offensive numbers. Whether he's a center or wing, Larsson's all-around game represents a safe bet to lock down a spot in among the Sabres' top-nine forwards as soon as 2013-14. McNabb has shown the ability to play a tough, stay-at-home game at the NHL level, so the plan entering year two of his entry-level deal was to work the farm while the Sabres sorted out the veteran numbers on the top club. The Saskatchewan native held up his end of the bargain, overcoming an uneven start to resume his high-level of play in Rochester, only to suffer a significant knee injury in a late-March game at Houston. A point machine at the major junior level thanks to an ability to punch booming slap shots through from the point (especially on the PP), McNabb's rugged crease protection and use of his long stick fill a key defensive role while letting other more gifted skaters carry the mail out up ice. The simpler the better, as playing big and getting the puck to safety will allow him his share of both minutes and point opportunities as his career takes off. The depth of the injury is yet to be known, but for now there is no reason to think that McNabb, whose toughness adds to an image that the Sabres need to build, won't comfortably enjoy a full-time, top-four residence in Buffalo. Watching Hackett at work in his crease reveals a big-framed, fluid athlete who has all the potential to be a full-time NHL goaltender. A veteran of 13 NHL contests through his first two professional seasons, the former Plymouth Whalers stalwart is looking to be just the third goaltender drafted out of the OHL since 2002 to play in 20 NHL games. While history isn't on the side of his developmental stomping grounds, it's easy to visualize Hackett doing good things in a blue and gold sweater. The nephew of former big league netminder Jeff, Hackett has excellent reflexes and side-to-side quickness, using a powerful, controlled leg push that keeps him square in the blue paint. The key to his game is not sinking in his butterfly. 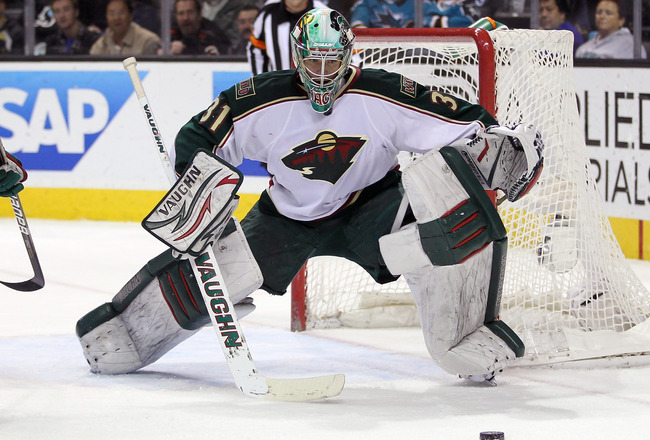 When he remains upright, he takes away the maximum amount of net and more pucks hit him. Going to his belly allows him to cover space outward, but it also leaves the top of the net open. 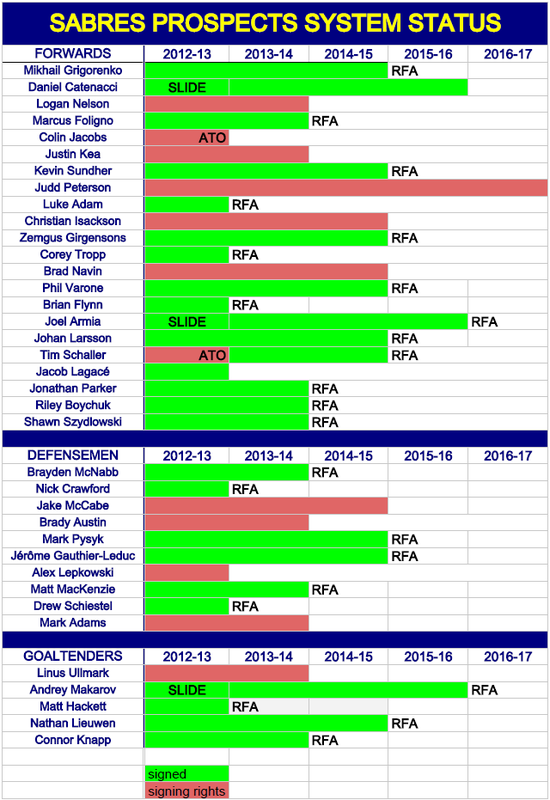 It will be interesting to see what happens with reigning Amerks MVP David Leggio (UFA) and Jhonas Enroth (RFA) entering the offseason. Both can't be terribly excited by Hackett's arrival, but the competition should make for some interesting discussions as the Sabres set themselves up for the potential of a post-Miller era. A speedy forward who plays without fear, Catenacci has the attitude and polished offensive skills to make an impact at the NHL level. He can finish plays in high traffic, but just as important has been his added value on the penalty kill, at the faceoff circle, and in the corners where he willingly throws his average-sized frame around to compete for pucks. Catenacci has used his final year of junior to refine his all around game, so for now it’s best to focus on the versatility he can bring to a lineup thanks to his explosive first three steps. Whether or not he’s able to crack second line duty at the NHL level, Catenacci has the mix and moxie to compete even as a lower-line forward. Catenacci was among the final cuts for Team Canada’s 2013 World Junior entry, but likely would have earned a role if the NHL had been in business. He's signed and good to go for Rochester as soon as the end of the Attack's 2012-13 season, so for now the expectations are to maintain his intensity and improve his discipline (he has been among the league leaders in minor penalties in 2012-13) as he gets his pro career started. An effort guy that knows what to do when the puck is on his stick, Tropp's blend of grit and hands remains a key, versatile component for what the Sabres are trying to become. The Michigan State product suffered what many thought to be a season-ending knee injury on opening night of the 2012-13 campaign thanks to a Radko Gudas hip check, but once again his hard-working style emerged with a remarkable recovery that saw him get back in the lineup for the Amerks' stretch run. At his peak, Tropp could be one of those players that you can’t win without. We’ve seen him pin the puck on the boards and wear guys down. We’ve seen him slide to block shots. We’ve seen him fight. We’ve seen him handle the puck and score tough goals. And to think we’ve yet to see the full offensive potential come to fruition from the former 20-goal college scorer. That’s worth a spot in the top 10. 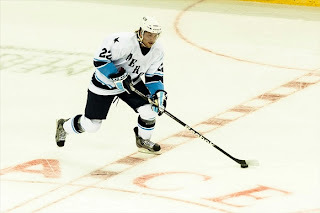 An offensive-minded defenseman who can pound the puck from the point, Gauthier-Leduc turned pro following a prolific junior season with the Rimouski Oceanic that saw him lead all QMJHL defensemen with 28 goals and 74 points, along the way setting a league record for defenseman with an eight-game goal streak. Leduc, who missed the first month and a half of the schedule with a lower body injury, scored a goal in his November debut before settling in to endure the expected rookie bumps and scratches. While adjusting to two-way game speed, a main focus moving forward will be positioning and decision making. Perhaps the greatest challenge, though, will be handling the bigger, physical forwards in the pressure areas. Coaching and patience will be key to bringing out the best in the Quebec City native. The "best" is likely a #4/#5 NHL defender who can add to the power play and fill a lane on the even-strength rush. For now you want to break down his game and build out from his own zone out to fortify the base expectations of an everyday professional. A big, strong, defensive-minded centerman, Kea debuts on the rankings rather high for a player who scored just seven goals in his first two OHL seasons. The projection is primarily derived from his skating, checking game, and year-over-year improvement -- a recipe creating a high probability of achieving his potential of grinding, defensive power forward. Exceeding expectations hinges on the continued development of his offensive game. Much like Girgensons, however, it’s wiser to scrutinize what’s happening beyond the stat sheet to firmly measure Kea's progress and future role. 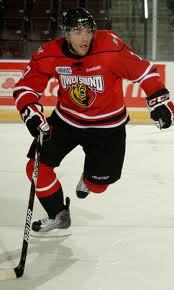 He's been voted as one of the better faceoff performers in the OHL. He goes down to block shots. He defends his teammates. He's dangerous on the penalty kill. He throws it deep and goes hard in pursuit. On top it all, he comes through with hard-working offense and momentum changing hits when his team needs it most. 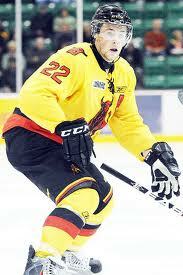 Case in point, he has scored more goals while shorthanded (4) in his OHL career than he has on the power play (2). The bulky backstop has enjoyed a significant rise since being drafted by the Sabres, popping up on the Swedish U20 national team radar over the summer before dominating at the J20 level and forcing his way on to MODO's SEL squad. Ullmark's promising development earned him a two-year extension with the club, making him a big part of their plans through 2014-15 season, as well as a spot on Sweden's preliminary National Team roster for the World Championships. Standing 6-foot-3, Ullmark leverages excellent size, timing, and simple crease positioning. He's athletic and flexible with good balance and body control. He'll rarely over-challenge or over-commit, instead being very economical in his movement while sealing the ice with a strong modern technique. With a quick glove hand rounding off a solid foundation, improving his post-to-post quickness will only assist his cause. 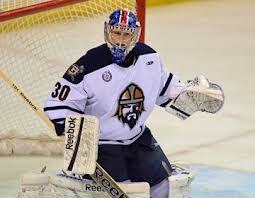 For now, though, his flow and rhythm in the crease are enough to tab him as the Sabres' top goaltending prospect. The speedy forward slowly eased his way into his first professional season, appearing in just two of the Amerks' first 10 games. When Cody Hodgson and Marcus Foligno left for the NHL (and Girgensons made a Jan trip to IR), Sundher moved from the fourth line into a prominent offensive role as a left-winger on line with veterans Kevin Porter and Mark Mancari. He immediately produced four points in five games, nearly doubling the five he had posted in his first 21 games. Sundher competes hard and plays at a high pace, entering corners with tenacity to earn his playmaking looks. The six-footer improved his finishing skills during his time in the WHL but generally uses his agility and vision to operate with a pass-first mentality. Winning more one-on-one battles will be key moving forward, so the addition of upper-body strength will no doubt be a major factor in Sundher achieving the middle-line potential that his skills suggest. 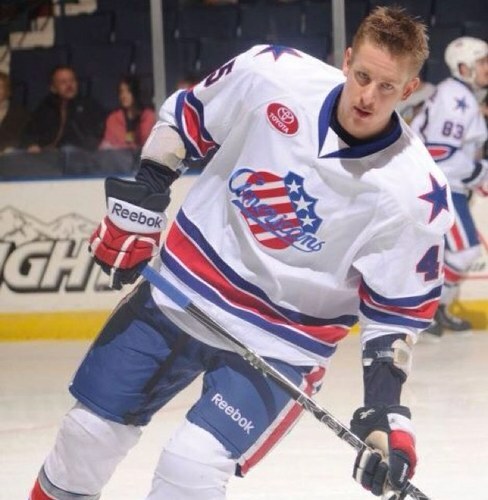 Every young player endures an adjustment period to the pro game, and that is especially true for MacKenzie, thanks to both a nasty quad laceration that saw him skate in just 20 contests as an AHL rookie, and a crowded Amerks blueline that awaited him as he looked to play catch-up in year two of his entry-level deal. 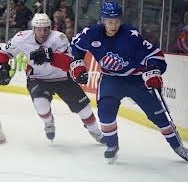 The recipe for a success reads reps, reps, and more reps. A solid defender with a well-rounded skill base, MacKenzie made quick progress prior to his injuries as a rookie, and began his second season in the Amerks top-six alongside Joe Finley. Consistency will need to come around, but for now the Sabres have a defender who skates well, plays tough in his own zone, and possesses adequate up-ice vision. MacKenzie's mission entering the final year of his first deal is to simply earn a regular AHL workload and start getting the pieces in place to press for an NHL look. Following a 57-save performance in the gold medal game at the 2012 World Junior Championship, being named MVP of the WHL’s Saskatoon Blades, and a strong showing at the Canada-Russia Challenge in August, the undrafted Makarov was the last player signed to an NHL contract before the expiration of the NHL’s Collective Bargaining Agreement. Makarov was again a key Team Russia component for the second consecutive year at the 2013 World Junior Championship, producing 41-saves to earn Player of the Game honors in his first game against the USA before leading the way in the bronze medal win over Canada. Makarov rode the momentum back to Saskatoon, shrugging off an uneven start to uncork a club record 18-game winning streak to fuel the Blades to a division title before running out of gas in the first round of the playoffs. A nimble, hybrid netminder, Makarov has the ability to "make himself big" to block the puck. He likes to bait shooters by giving his glove side and isn't afraid to use his noggin to stop a puck. Because of his base, Western League clubs often flooded the middle to capitalize on second and third opportunities. Along with smoothing out some inconsistency issues, improving rebound control and balance coming off the first save will be keys to success moving forward. Makarov’s skill and big game ability put him in good position to compete when he's ready to turn pro. With good skating providing the foundation, Lepkowski has the defensive posture to contribute at the AHL level. He goes down to one knee to block shots and cut off passing lanes, while bringing a nasty demeanor to keep an edge around his net. He adds to the second-unit power play in Barrie, but he looks to be a guy that could fill a rugged organizational D role similar to how the Sabres are currently using Mike Weber. 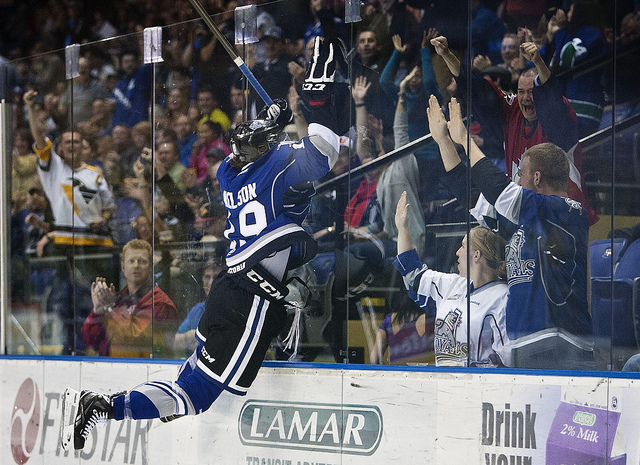 The speedy, sometimes rambunctious Nelson is a puck hound who engages contact to make plays. The Minnesota native popped onto the scouting radar in 2011-12 as a WHL rookie, using his size and speed in open ice to win 50/50 battles and gain breakaway opportunities en route to posting a 23-goal season. Nelson was pencilled as a top-line winger for the Royals in 2012-13, but injuries forced a switch to the middle, where his production plateaued while facing top defensive pairs nightly. Physical and pesky with decent offensive upside, Nelson has the tools for a supporting energy role at the pro level. He goes downhill to create pressure, taking the puck off the boards to the net with power, and he picks his spots to streak out of the zone the lead pass. His game isn’t always pretty, but he could be a compelling energy player if he can match a balanced backcheck to his aggressive offensive pursuit. 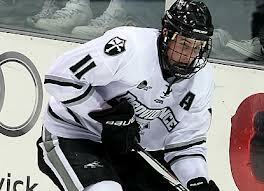 Named Hockey East's Best Defensive Forward in 2012-13, Schaller was signed as a 22-year old free agent following a four-year stay at Providence College. The Merrimack, NH native collected eight goals, 23 points, and a plus-seven rating as a senior while carving out a niche as a hard-working, two-way centerman with timely offensive instincts. While Schaller's three-zone work with the Friars should translate well, the EJHL product also brings aptitude to the face off circle, winning 56-percent of his 564 draws as a senior. Bringing a player of Shaller's makeup into the mix strengthens the team's blue-collar foundation, and allows them to go out and find more skilled scorers to run up and down the wings. A great skater and stickhandler, Varone entered the pro ranks with a bang in 2011-12, overcoming a slow start to ultimately lead the Amerks in points as a rookie and earn an entry-level contract with the Sabres. While not the biggest or fastest player on the ice, Varone can get space for himself and make nifty passes that bring out the shooting skills of his linemates. With the arrival of Kevin Porter and Cody Hodgson in Rochester, Varone found himself bumped down the center ice pecking order, but he got his game going once the league thinned out post-lockout. It’s hard to project Varone out to anything more than a strong AHL producer, but continued growth in all areas could make him an outside candidate for spot duty as an injury fill-in at the NHL level. A successful and sometimes dominant goalie at the junior level, Lieuwen entered his first professional season with a clean slate, with some thinking he could be facing a longer road ahead to winning an NHL job. Lieuwen's big frame and athleticism provide a functional base, allowing him to make some acrobatic saves, but by the end of his junior days more skilled shooters had developed a book where they'd get him moving side-to-side before shooting high. With the Sabres looking to balance goalie development with AHL backup minutes, the British Columbia native began his career in the ECHL with a plan of being shuttled to Rochester at some point. Lieuwen endured an uneven start before settling in with a good run through the winter months to get the February call to Rochester. 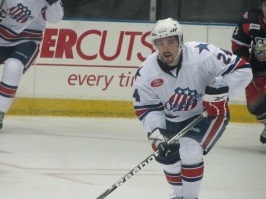 His first AHL starts were encouraging, likely giving him a firm grip on the Amerks' backup gig for the balance. Lieuwen has shown good composure in the crease this season, using his size to track pucks through screens and remain in position. Focusing on technique while improving his footwork and lateral movement will be keys moving forward, but that longer road may have gotten a bit shorter entering year two of his entry-level deal. The tallest player at any position in the Sabres prospect ranks, 6-foot-6 backstop turned pro in 2012-13 after wrapping up his collegiate career with the by winning 14 of his final 19 starts with the Miami RedHawks (CCHA). 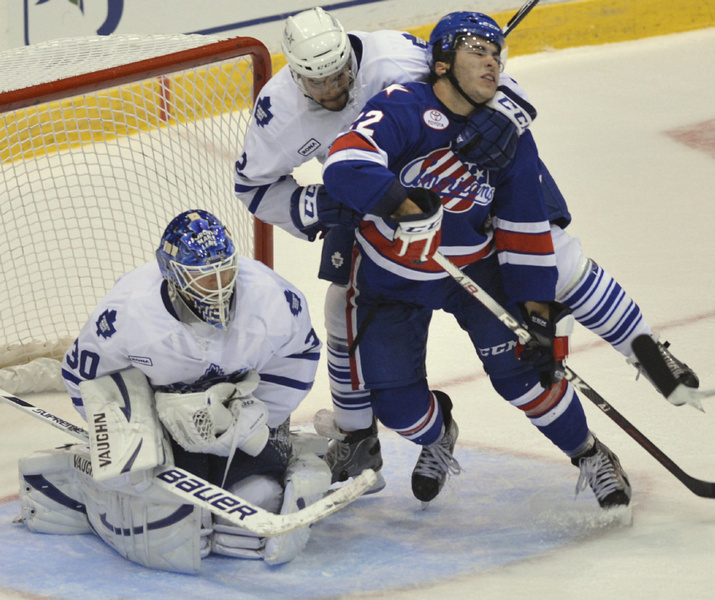 Knapp spent the first half of his rookie year watching, winning one of six AHL starts while studying behind reigning team MVP David Leggio before getting dispatched to Greenville of the ECHL. Knapp’s entry-level deal will best be spent simply trying to become a consistent, competent, and quicker pro netminder. Improving rebound control and exhibiting better puck tracking skills, all the way from the shooter’s stick to his body, will better Knapp’s chances of getting into a groove. The real mission is getting minutes. Despite closing with success at the collegiate level, Knapp played in just 84 games over his four years in Oxford (splitting time all four years with Cody Reichard, who received 92 starts) . 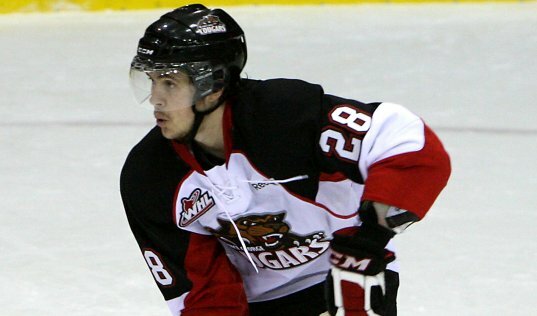 A talented forward with good size and puck skills, Jacobs recently completed his fourth junior season, leading the WHL's Prince George Cougars in scoring with 53 points (25+28) in 66 games while adding 98 penalty minutes. The Coppell, Texas native, who tied for 15th in the league with 13 power play goals, was rewarded with the team's Player of the Year honors at season's end. Jacobs' first post-draft year (2011-12) with the Seattle Thunderbirds was partially washed out after off-season shoulder surgery caused him to miss the first three months of action. 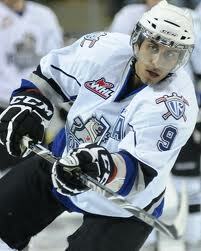 He'd finish the year with nine goals and 19 points in 44 games before being dealt to Prince George over the summer. With the Cougars failing to qualify for the playoffs, Jacobs signed an ATO (amateur tryout) with the Rochester Americans, giving the Sabres a closer look before making a final decision on his entry-level rights. A powerful skater with an excellent shot, Jacobs will need to improve his acceleration with the puck to unlock his offensive potential. Bringing out some of the grit that was present in his junior days will inly help carve out a role. He scored a goal in his first game with Amerks, but the total body of work will be evaluated before determining Jacobs' go-forward fit. A mobile defender with good puck carrying skills, Austin covers a lot of ground in his own zone with a good set of feet and a long reach. Austin is strong positionally, with his size, toughness, and improvement in all three zones being a key factor to the Bulls defense being the stingiest in the OHL in 2012-13 with a league-low 167 goals against. 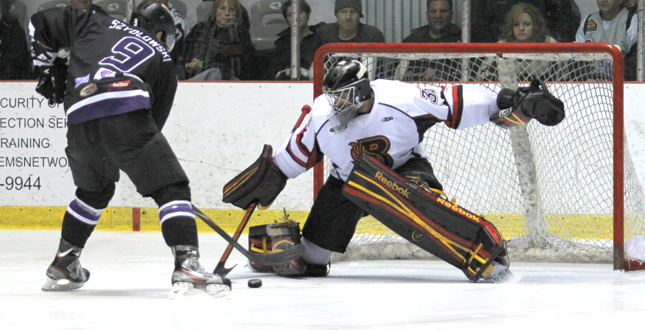 After spending time as a wing during his time in Erie, Austin's game was stabilized with a permanent move to on the blueline upon his arrival in Belleville for the 2011-12 season. He flourished as a full-time rearguard, earning a look from the Sabres at their draft combine leading up to his draft selection, while seeing his hard work rewarded with an "A" in his return to Belleville in 2012-13 as a 19-year old. 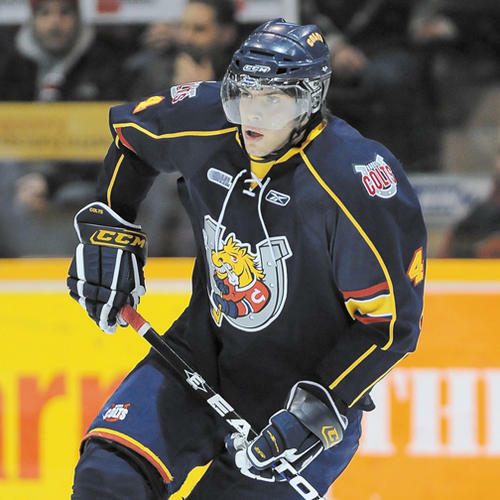 The 2009-10 runner-up for the OHL’s top defender, Crawford has settled in as a shutdown blueliner who executes with patience and steadiness. 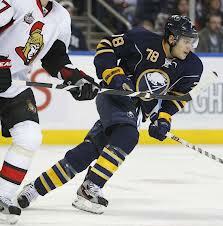 The Sabres organization has seen an influx of young defensemen over their last five drafts, giving the Caledon, Ont. native plenty of competition for minutes, but Crawford quietly went about his business, posting 13 goals and 53 points in his first two seasons while peers like Myers, McNabb, and Brennan grabbed a greater mindshare for Sabres prospects watchers. 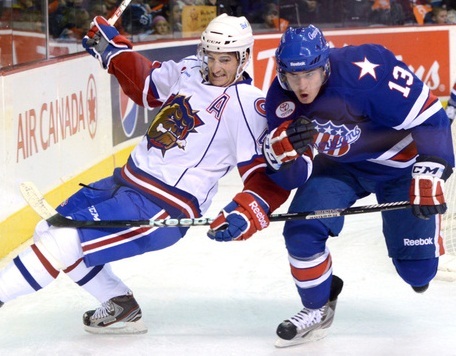 Moving forward, Crawford projects as a solid AHL depth defender. He adds to both sides of the special teams coin while using his skating to make making safe, easy plays at even strength. There is no flash or overwhelming physical presence to Crawford's approach, but his smarts and experience make him a stabilizing veteran piece to the defensive corps entering his second professional deal. 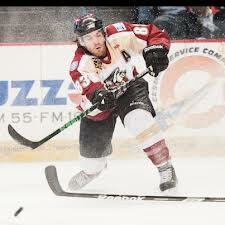 A swift skating defender, Schiestel hasn’t been the same since a knee injury ended his 2010-11 season prematurely. At the time, Schiestel was an AHL All-Star knocking at the door of the NHL. Upon his return in 2011-12, the Hamilton, Ont. native was dealt another setback with another knee injury, all but crippling his ability to re-gain the necessary confidence to perform at a high level. He re-signed with the Sabres as a RFA for 2012-13, but has seen limited use as the club has brought along their younger guns. Despite the troubles, Schiestel possesses a good set of tools. He can skate, shoot, and pass the puck with great success, a quality that has seen him platoon at times as an extra forward. He has a good handle that can see him take it end to end, but the limited reps received since the initial injury have hampered his decision making in his own zone. Among a crowded group of defensive prospects, Schiestel has hit work cut out for himself if he wants to claw his way back up the pecking order and could seek to re-start elsewhere. Signed as a free agent following a 45-goal year with the WHL’s Prince Albert Raiders, Parker is still looking to find his range as a professional. His standout skill is his release of the puck, but bigger, quicker pro defenders have presented a challenge when finding opportunities to fire. Parker moves well enough and possesses a bit of a bulldog mentality when fully engaged, willingly mucking for loose pucks and absorbing punishment to get chances. The compete level is there so the hopes is that he can get into a groove and develop some chemistry that brings out the best of his shooting skills. After dressing in just 11 games as a freshman, the versatile Isackson was active in every Gophers contest in 2012-13, shuffling up and down a forward lineup featuring eight NHL draft picks. The native Minnesotan got his year off to a strong start, scoring a pre-season hat trick prior to notching his first three collegiate points in an opening weekend sweep of Michigan State. Strong on his skates with good playmaking skills, Isackson works hard to create, excelling when using his body to protect the puck and finding teammates with short passes. He has quick hands and vision in the slot area, setting the table for a larger offensive role as the Gophers head to the newly formed Big 10 Hockey Conference in 2013-14. An accurate shooter with good acceleration, Peterson made steady improvement in his first Junior “A" season following a prolific 47-goal, 83-point season with Duluth-Marshall (MN) High School. Peterson's year was interrupted with an arm injury in February, but not before connecting on 16% of his shots to hit double-digits in goals for a RoughRiders squad that missed the playoffs for the first time since 1999-2000. Peterson, who can play center but likely projects as a winger at the next levels, has a solid frame, good speed, and an ability to make tough plays, making him a compelling pro candidate once strength and quickness are added to the package. Committed to St. 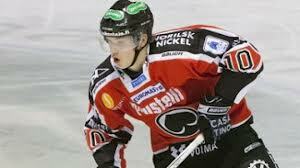 Cloud State, Peterson will likely move up a level to the brand new National Collegiate Hockey Conference in 2013-14. A big, grinding forward who dominated the Wisconsin high school ranks before being drafted, Navin has settled into a checking role over his first two years in Madison. He uses his frame along the wall and finishes his checks, but while showing an ability to get to the net and bury rebounds at his first Development Camp (July 2011), the Waupaca, Wis. native has yet to find his scoring knack at the WCHA level. Navin is a lumbering skater who gets a lot of momentum once he gets going. He has average playmaking ability, instead relying on athleticism and power to work his assignments on every shift. The power-forward potential is there, so the Wisconsin staff will be counting on Navin to produce offense when given a bigger role as an upperclassman. Snakebitten with just one goal in his rookie professional season, the Michigan native was charged to get his game going in2012-13 by beginning the year with the CHL’s Forth Worth Brahmas. Szydlowski has been mostly looked to as a foot solider, using his skating and checking blend to produce a dependable two-way game. You want to see players with NHL contracts scoring when on assignment. A former 41-goal scorer in the OHL, Szydlowski put together a four-game goal streak in late January that led to his eventual re-call to Rochester as the Sabres dipped into the Amerks pool to plug roster needs. Projecting to an organizational role player, Szydlowski will enter the final year of his entry-level deal looking to contribute as an AHL checker. Twice a 30-goal scorer in the QMJHL, Lagace shuttled between the AHL and ECHL in his first two seasons before playing out the final year of his entry-level contract with Bakersfield. Lagace has used his skilled hands to collect 20 goals in 116 AHL contests, but slower feet and lack of overall quickness have pushed him down the depth chart. With the next wave of forward prospects entering the Sabres system, the Quebec native will likely land a minor league contract in 2013-14. A towering 6-foot-5 forward, Boychuk scored his share of goals in juniors by being a hard guy to deal with at the edge of the crease. More importantly, he was a bruiser on the forecheck, physically dominating his peers with punishing hits and doing some enforcing when duty called. The Sabres have been waiting for those elements to emerge at the pro level from the Portland Winterhawks grad, and thus Boychuk was dispatched to the lower pro circuits in 2012-13 to get his reps and start building a case for a greater organizational role. 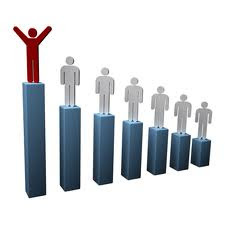 Employing a greater physical dimension will afford more opportunties. Boychuk gets up and down well, but he'll need to consistently compete in the tougher spots on the ice in order to advance his career. Adams returned to the Friars blueline in 2012-13 following an injury-shortened sophomore year, playing in just seven games before undergoing season-ending knee surgery. Prior to injury, the Malden, MA native spent the majority of his time in the top-six paired with Pens prospect Alex Velishchek. Adams has played a simple all-around game since joining Hockey East, using his above-average size and skating to chip the puck to safety while adding basic offensive elements from his blueline post. With a medical redshirt in place, Adams will have two more years to make his mark with a much-improved Friars program. Excellent job as always. The best site for Sabres fans! Once again, you have done an EXCELLENT job with great insight and info. I read this site all the time to keep up with the Sabres prospects. Kris: Thanks for the great write-up. I'm thinking in terms of generations here as I watch the Sabres try to figure out their direction; McCabe really reminds me of a young Leopold before he exploded at Minnesota. Just in the way you could rip off the names and numbers and still pick them out immediately. Could you see a point-per-game pace next year and Hobey mentions, particularly with the profile of WJC captain? I love keeping up-to-date on all our juniors & Kris... YOU ARE THE BEST!!! I think McCabe will be a big time college performer next year with another summer of strength and conditioning work. He embodies what the Hobey is all about, now he'll just need to pour in a few more goals from the back end to get into contention. Good player. He'll use his body a bit more at the next level and bring an excellent skating game. So where does Chad Ruhwedel fit into this ranking. I see him as below McNabe but ahead of McKenzie. However does he rank above Gauthier-Leduc? Not sure on that part from the 5/6 games I saw him this year. I like the signing and I like that they had the chance to offer him time right away and perhaps even more than that. 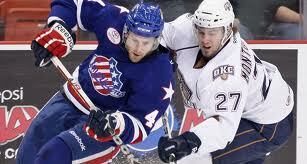 May be time for the Sabres to have their own ECHL team it's getting to crowded in Rochester.